As my colleague Mark Huffman notes in a report on migrating to Canada, it's not something to be taken lightly. For one thing, Canada doesn't much want you unless you are educated, employable, and in good health. Besides, Canada is a cold country where the locals' idea of a good time is standing around listening to bagpipers, then going out for a nice moose steak. This frankly makes little sense. Why move north into the tundra when you can move south into the land of beaches, enchiladas, and some of the warmest, friendliest people on earth? Mexico, in other words. Like the United States, Mexico is a large and diverse country with different regions, ethnicities, and cuisines. You can spend years getting to know the place thoroughly and, once you do, your desire to get back home for the Iowa City Pig Roast will fade dead away. To hear the candidates tell it, Mexicans can't wait to abandon their country and sneak into the U.S., but this form of illegal immigration involves a small subset of Mexicans who, like their underclass counterparts up north, have been displaced by changing employment patterns. Most Mexicans would never think of uprooting their families and heading north, into a country that hates them and blames them for everything but the weather. Oddly, despite the hateful rhetoric that flows their way, most Mexicans bear no ill will towards individual Americans and receive tourists and visitors warmly. And, unlike its neighbors to the north, Mexico is a relatively relaxed and laidback land that takes more of a Mediterranean view towards things like immigration laws. You want to visit Mexico? Bienvenidos. You want to move there? You're not alone. 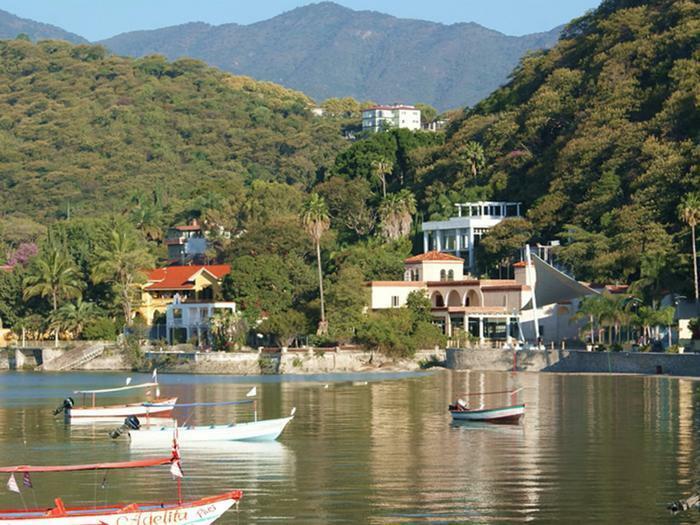 Many Americans head south of the border for months or years at a time and a sizeable number retire there, many clustering around spots like Lake Chapala. There are thought to be about 1 million Americans living in Mexico, many of them illegally. There is a visa for long-term visitors who are economically self-sufficient and will not be working in Mexico and taking jobs away from Mexicans. It's called the "Residente Temporal" and it allows you to remain in Mexico for up to four years. You may come and go as you please during that time. You should apply at a Mexican consulate before arriving in Mexico. Enforcement has been lax, however, and unless a visiting gringo gets in some kind of trouble, it is often not an issue. However, one could be fined or deported if caught living without a visa. As just about everyone knows, the cost of living in Mexico is a fraction of what it is in the United States. Housing is plentiful in most areas for those who have cash. Buying property is something that should not be approached lightly, as aliens do not always have the same property rights as Mexican citizens. It's worth keeping in mind that Mexico is a socialist country. The government controls many of the industries that are privately owned in the U.S. This means that if the government decides to build a giant resort on your land to lure more moneyed tourists, it will do so regardless of whether the locals like it or not. Remember, too, that there is no Bill of Rights in Mexico and while law enforcement may be spotty, it can be very harsh. Stay out of trouble, in other words. Avoid illegal drugs. Mexicans hate and despise drug dealers and those whose habits support them. The key to getting by in Mexico is to turn it all down a few notches, get to know the locals, and remember to renew that visa every four years. Is it still safe to go to Mexico?